Simple Tech is an awesome tech blogging templates which is ready right out of the box to display your content like the biggest, baddest magazines-turned-websites do it. Simple Tech is fast loading and responsive, we have added lots of seo settings to this theme which will help you to rank higher in SERP. Every element of this theme is well crafted and makes your site look professional website and you get maximum exposure to your content and it is having one of the best awaiting features that Supports Multi Author from Google+ System. 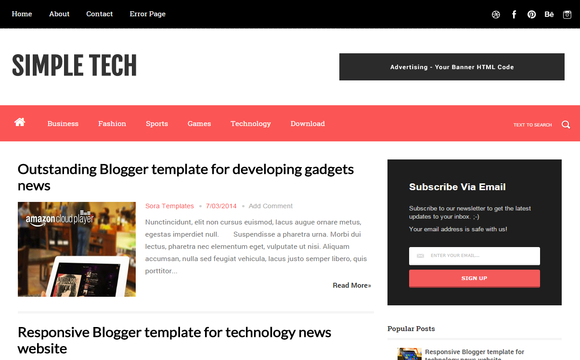 PLEASE HOW CAN I SEE THE MOBILE VIEW OF THIS Simple Tech Blogger Template?